One thing is for certain: This cheetah is very much in control of the moment, regardless of the prey he has found on this warm African night. African is a massive continent, but this scene brings the many nations to a very specific moment. 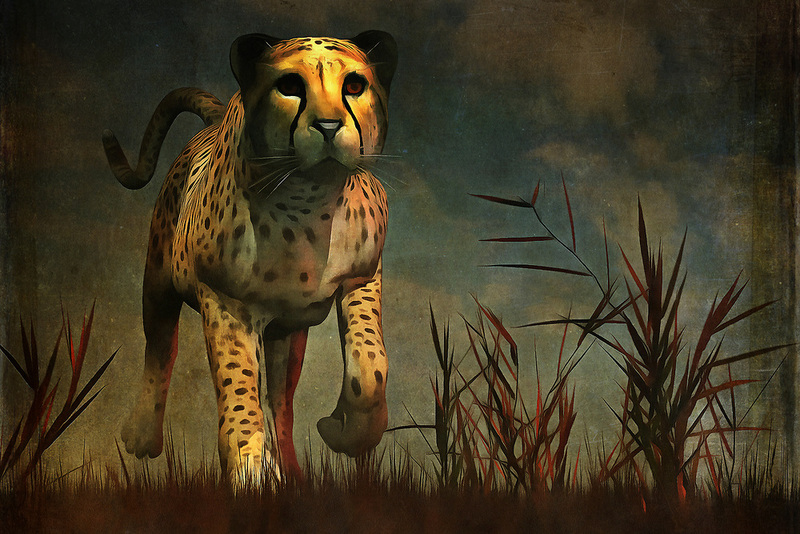 This cheetah is dedicated to its task, but it also doesn’t seem to be in any significant rush. The hunt is all but finished. The prey will be taken down no matter what. You can purchase this incredible, singular fine art piece in several different print forms, or in the form of an interior home décor product.